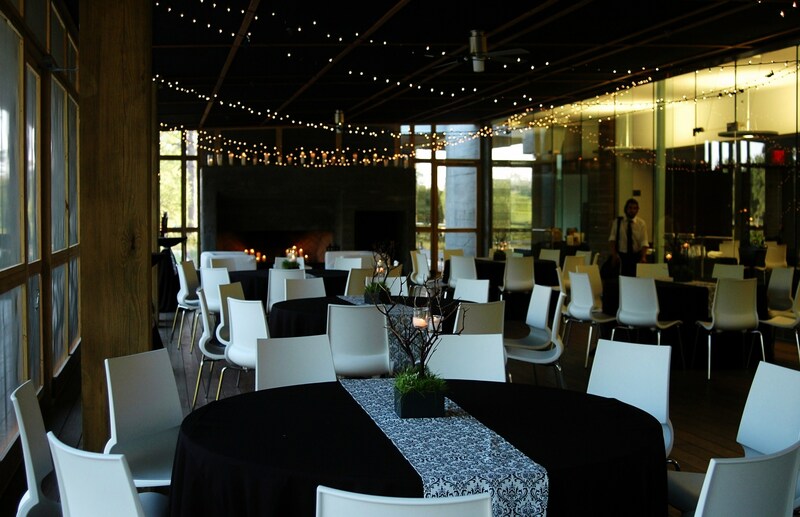 Everything about this wedding fit so perfectly and beautifully together…from the contemporary lines of the venue to the modern chic design of the floral creations….it was SO perfect! I knew from the very first meeting with Melissa that I was just going to love this wedding from all the fabulous ideas she had…we helped her expand on the (what I call ‘modern classic’) color palette of black, white and bright green!!!! 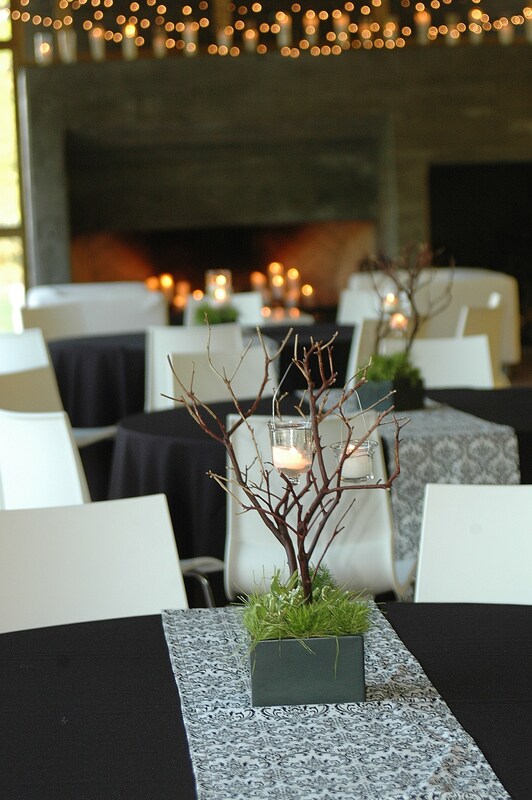 I love the use of the natural elements throughout the entire event! 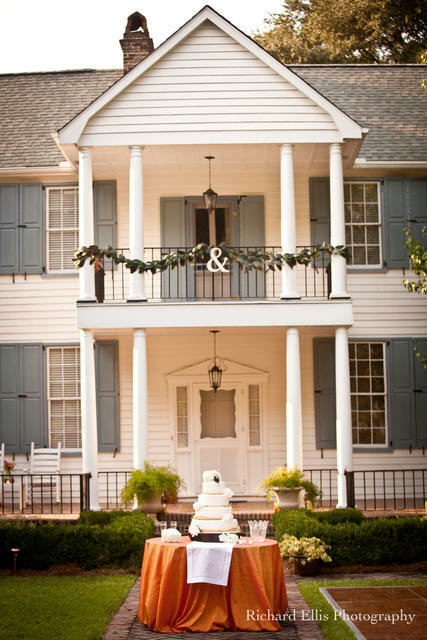 Their wedding took place in Charleston, with their reception at the new Founder’s Hall at Charlestowne Landing. 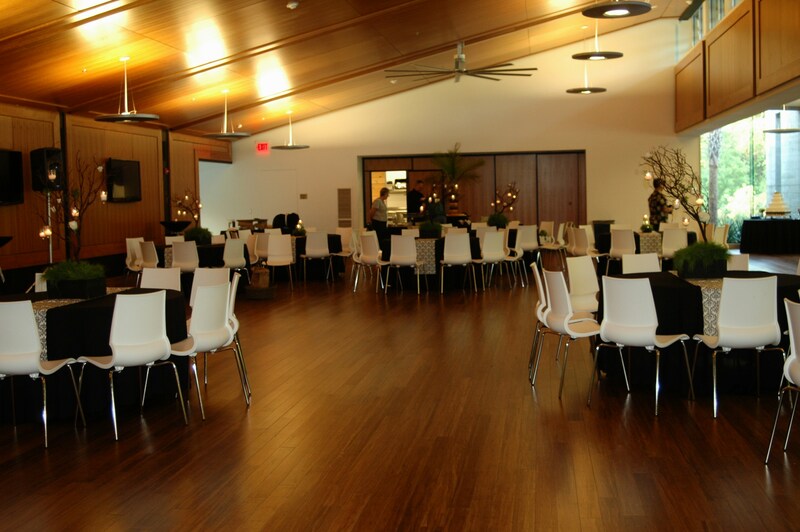 This venue has a modern/angular twist to it and their reception fit like a glove in this beautiful space. 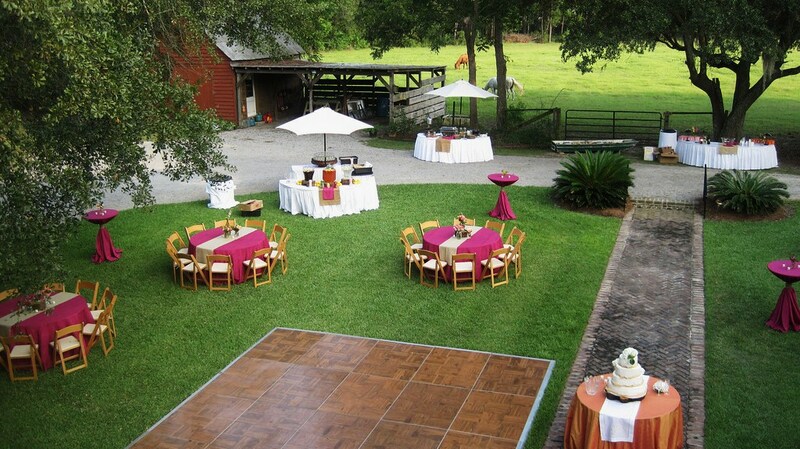 Catering was done by dear friend and colleague, Capital City Catering ~ and AS ALWAYS, it was just wonderful. 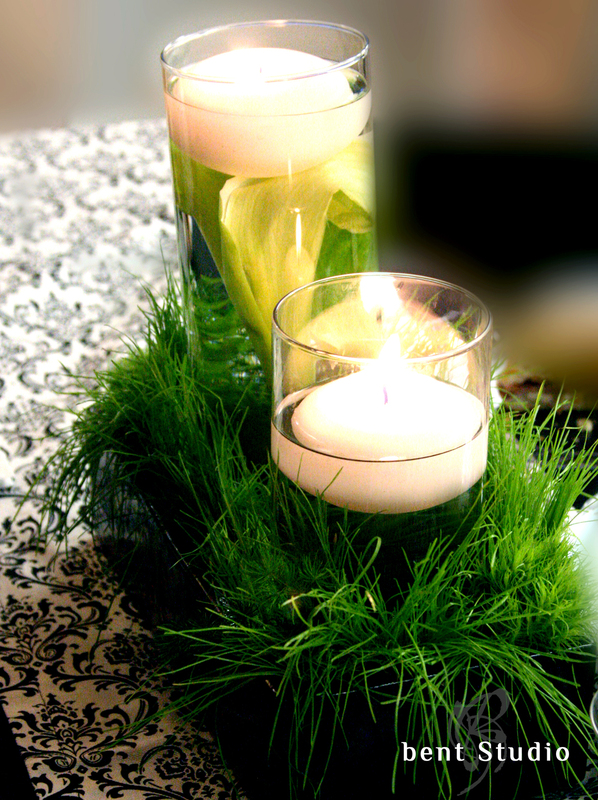 The ‘oh so amazing’ floral design was created by Beth at Wild Flowers Inc ~ these pieces stole my heart! 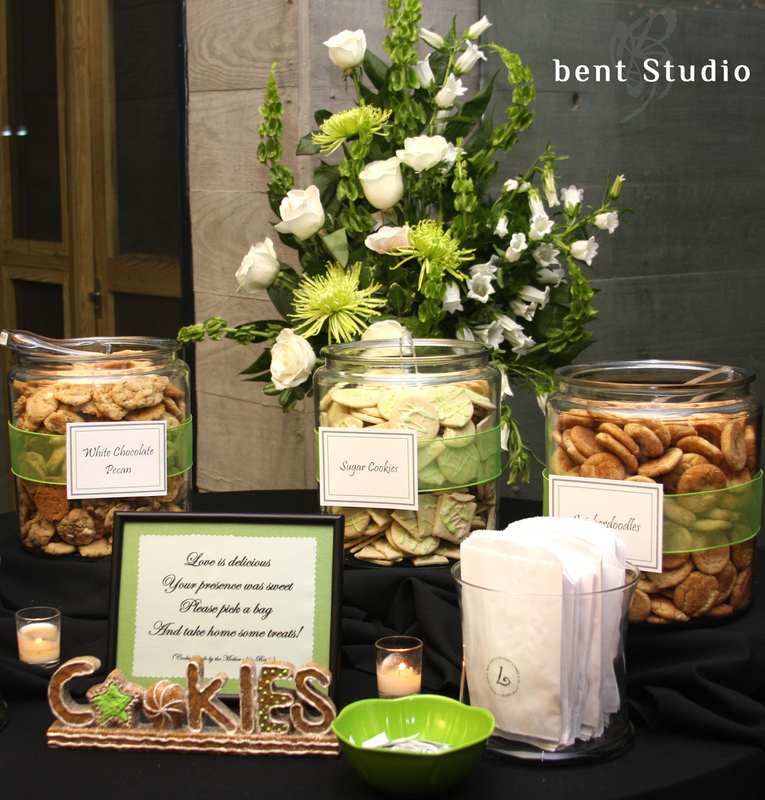 As you will see below, I have been so lucky to receive a few images from the wonderful photographers, Bent Studio!! I can not wait to see the rest but thank you for sharing a few of the breath-taking detail shots and one of the beautiful couple!!! Some of the images are from my camera as well (as you can clearly see) – but Bent Studio images are labeled! 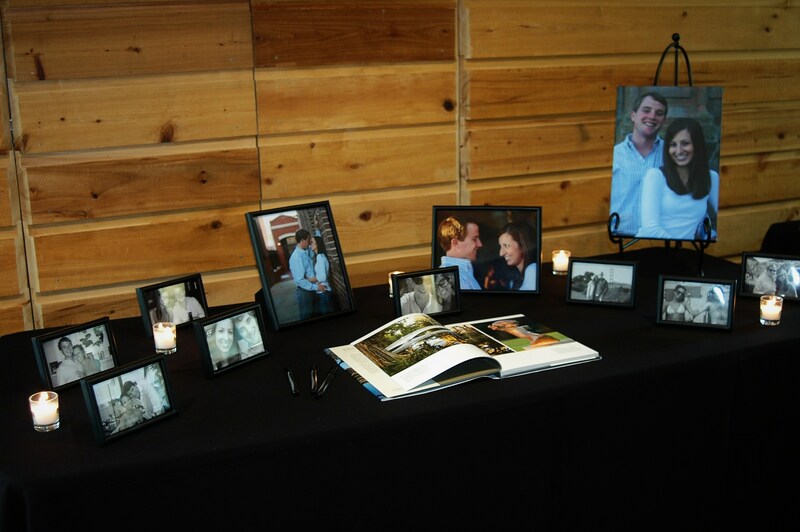 The couple displayed great photos of them over the years with their signature guest book. 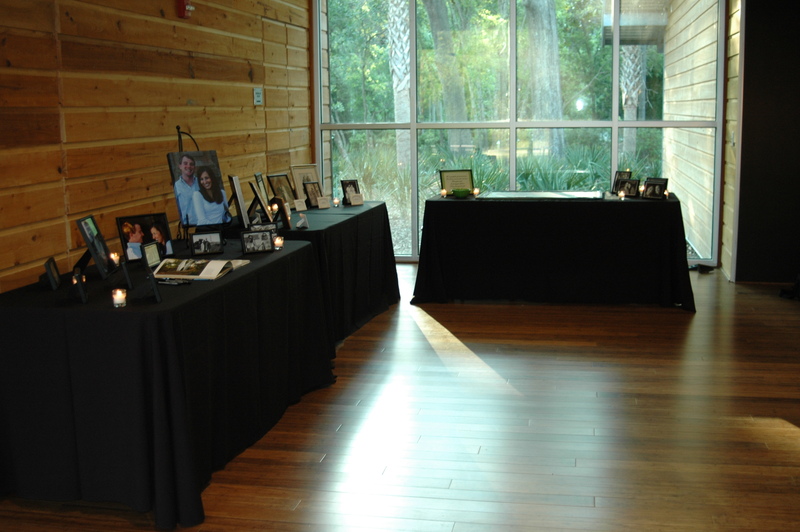 On the next table, they had wonderful photos of their families at their own weddings! 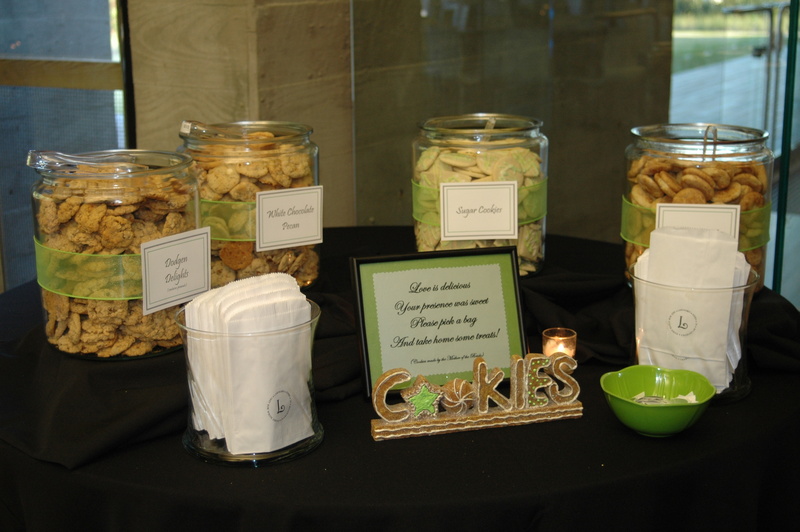 The great home made cookie bar! The bride’s mother baked these lovely treats! Cake was created by Monica Tatis! 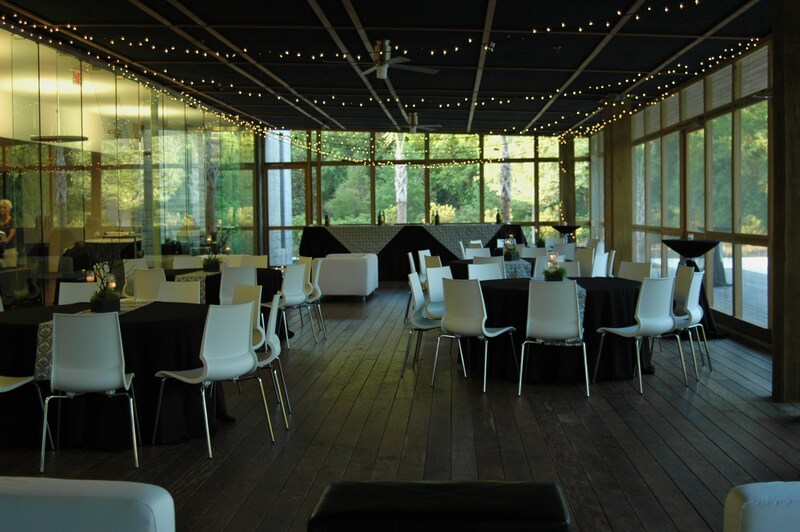 The screened porch at Founder’s Hall. I just adore Marcia and Darrel- they are so sophisticated, elegant and have a classic style that I have just fallen in love with. 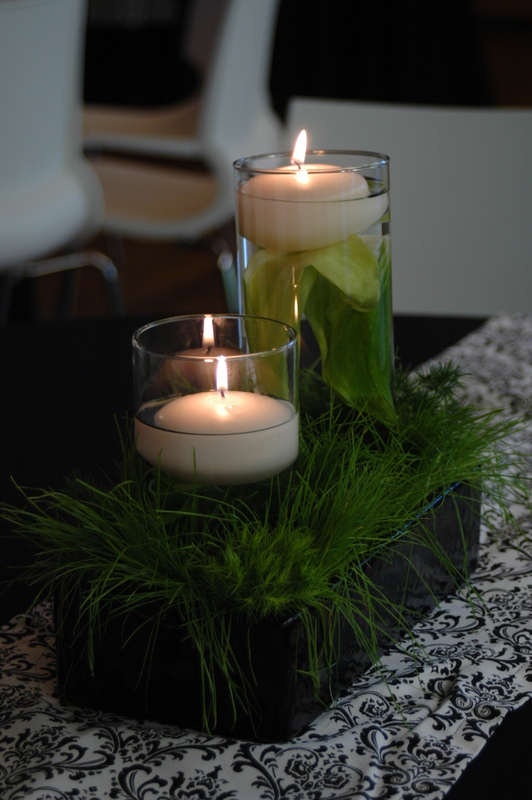 Marcia wanted to use black and white damask for their color palette with fuchsia accents. 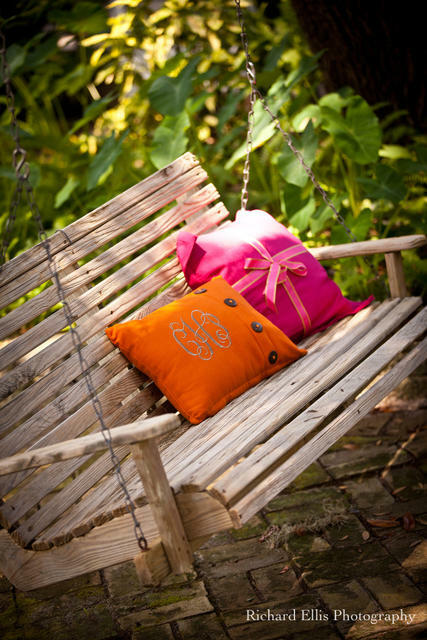 We carried this pattern throughout the wedding in beautiful touches. 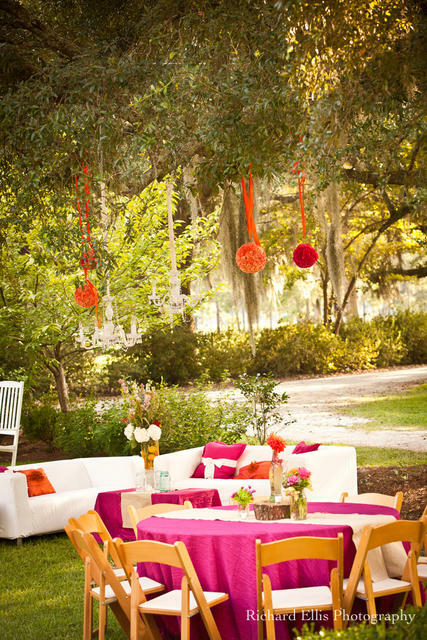 They wanted to have a relaxing cocktail hour then invite guests into a lovely elegant sit down dinner. The ceremony and reception was held at the Clarion Hotel. Ceremony was held in the Magnolia Room – we had crisp white chair covers on either side of a fabric draped, column lined aisle. The cocktail hour was held in one salon where we designed a great lounge area using By Invitation Only…furniture. We created custom coffee table bases that matched the damask pattern. Guest were then invited in to dinner – the ballroom was classic- lovely floor length black linens topped with By Invitation Only…custom made damask runners. The table was dressed with silver chargers, matching menu cards and beautiful fuchsia hydrangea pieces! The head table was so romantic – we lined the front with mirrors, added pillar candles and dressed it with the bouquets!!! 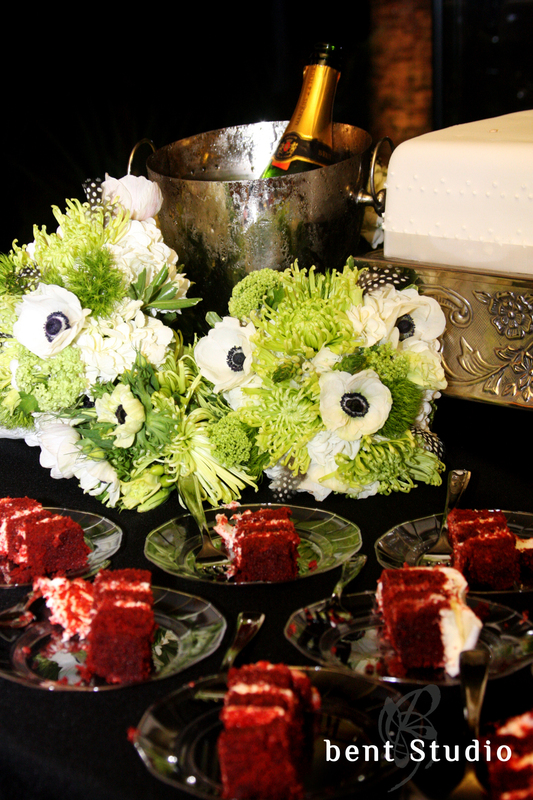 The gorgeous cake was created by Parkland Cakes, photography by Patty Hallman. Flowers by Pampered Plants. These images are candid!!! 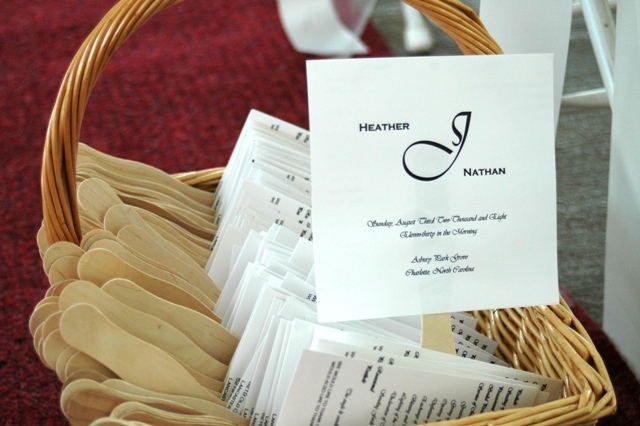 We snapped only a few so we could get some on the blog- Patty Hallman did send us a few ‘teasers’ that we have included!!! 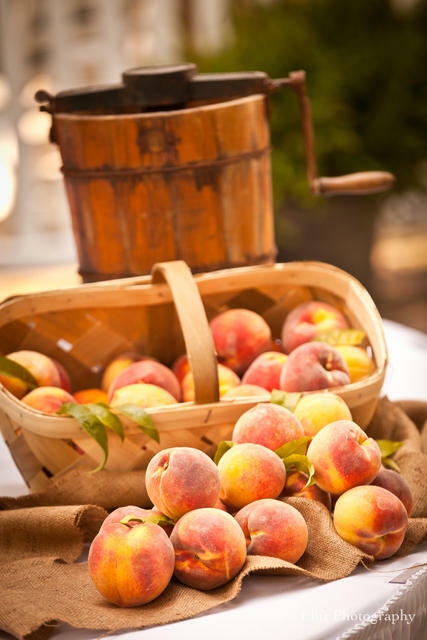 Patty Hallman shared this with us- so lovely! Again- thank you so much Patty for sharing this image. One angle of the dining room. 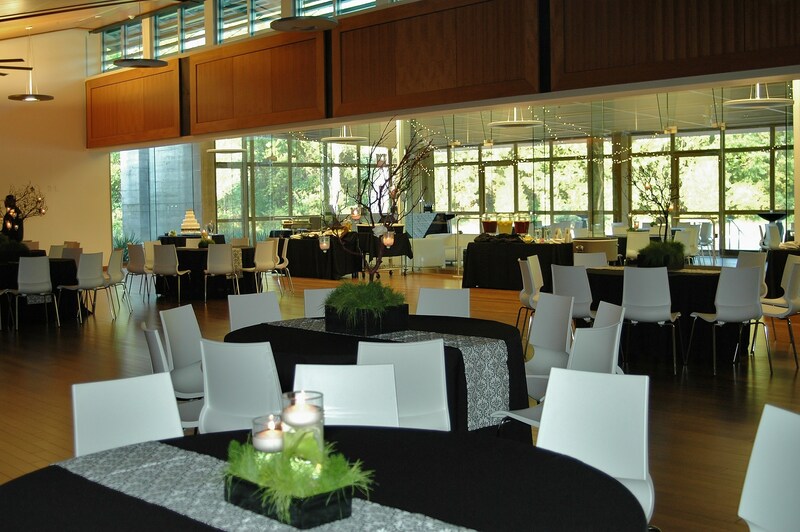 Looking from the lounge to the dining room with the head table in the background. Close up of head table. Talk about FIREWORKS between two people !!! 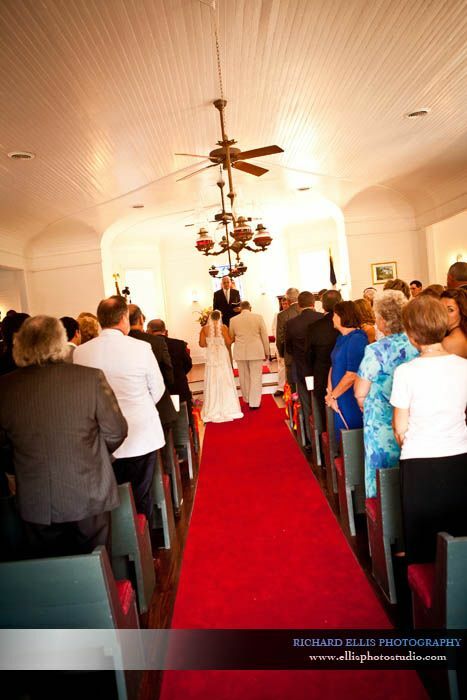 The wedding made our 4th of July so absolutely wonderful!!! What a perfect place and day for such a lovely wedding. 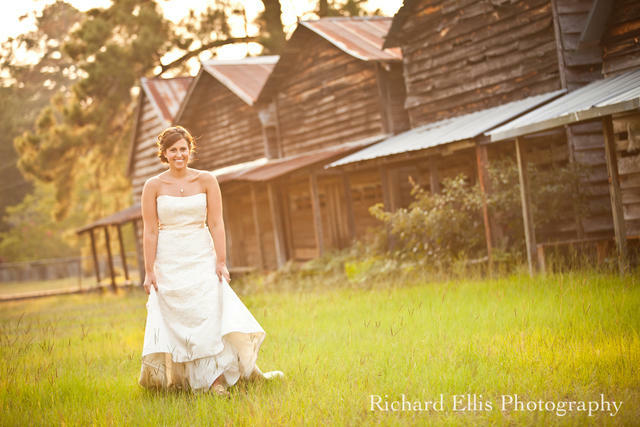 Kristi and Dan were soooooo much fun- working with them and mother of the bride, Susan was just fabulous. 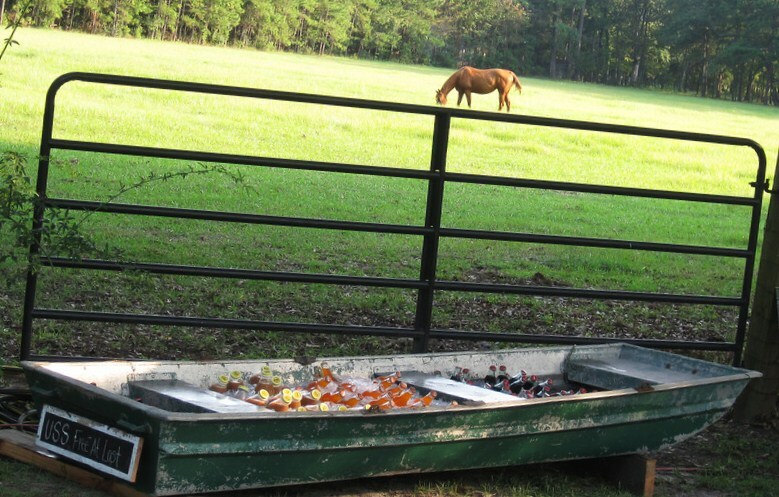 Everyone had a great attitude that this wedding was going to be FUN if nothing else!!!!!! The ceremony and reception took place at a most lovely private home on Lake Murray belonging to the Aunt and Uncle of the groom. It was the most perfect outdoor space for this wedding, luscious green grass as far as the eye can see and a view of the lake that just made you stop and enjoy. Kristi and Dan had the ceremony down by the water on beautiful white beach sand- the bride’s family hand made the classic Southern benches that guest sat on. Their programs were handheld fans that offered a little breeze in addition to one coming off the lake when the ceremony began at 7pm. The bride was gorgeous- she wore a beautifully fitted beaded gown and an exquisite orchid in her hair. 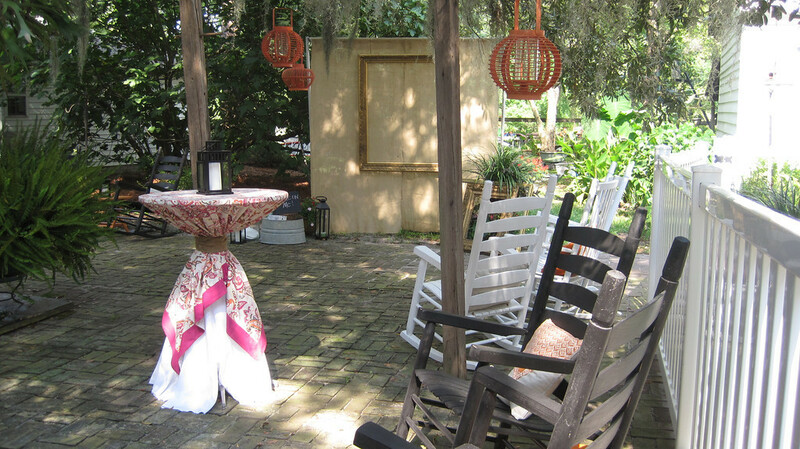 The bridesmaids wore a deep red gown and of course, Rainbow flip-flops (I love it). The groom and groomsmen wore tan suits with ties matching the bridesmaids gowns. 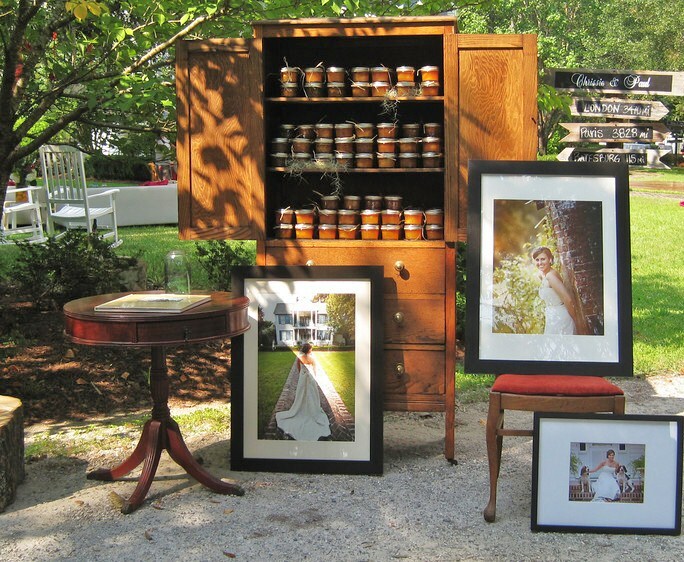 It really was the most perfect selection for this outdoor 4th of July wedding! Everyone danced the night away under the tents with the Little Cat Z Band. 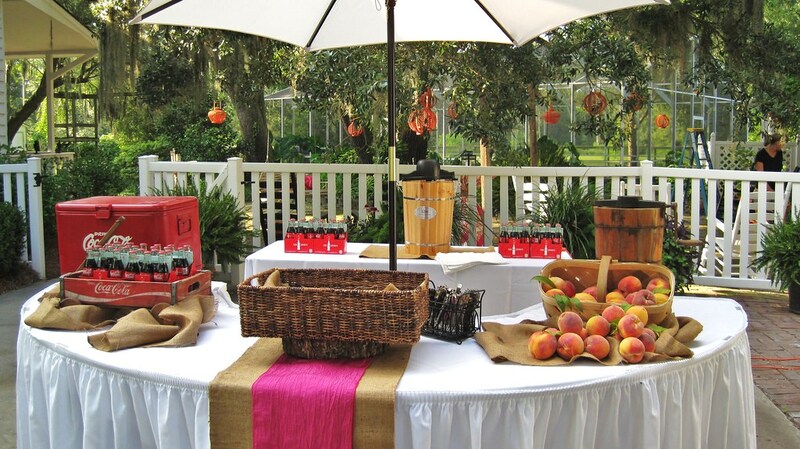 Catering was by the talented and yummy Capital City Catering – they served BBQ sliders (come on, it IS the 4th), their signature fresh fruit tree and home-made chicken salad just to name a few items. 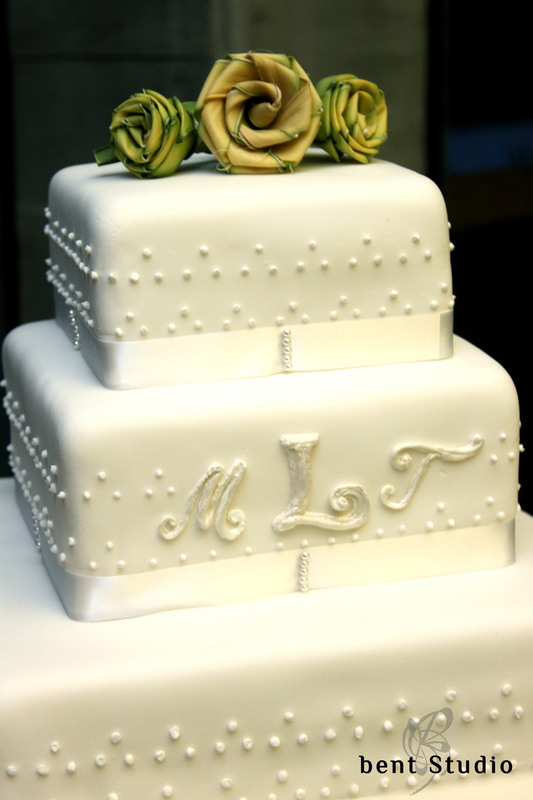 The wedding cake was made by the groom’s mother- fabulous! 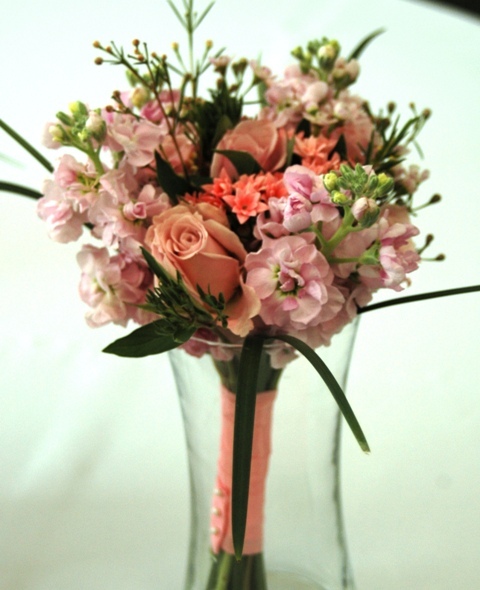 The beautiful flowers by Think Floral, owner/designer Debby West. The great ceremony benches and program fans. The home-made BBQ served with sweet and dill pickles as well as slaw. I love their display for this! Great shot of the veggie cups with ranch, part of the fruit tree, chicken salad in the background and crab cakes! 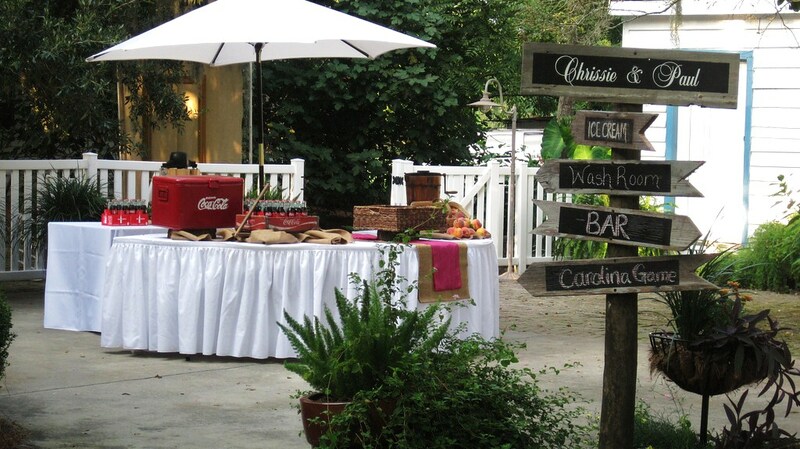 We place the bar around the lovely magnolia tree in a semi circle, wrapped it with lights and place two of the home made monogrammed table runners! 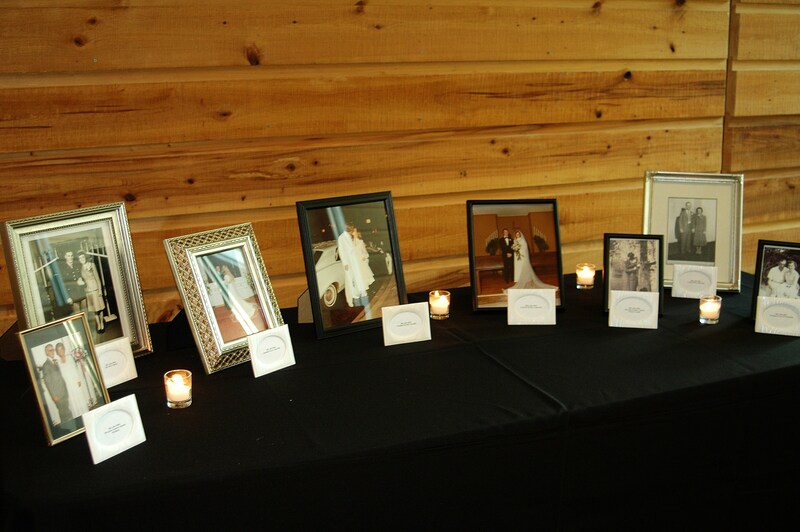 Shot of the table holding the wedding photos of the bride and grooms family. The bride with her wonderful parents! So exquisite, so elegant, so lovely!!!! Andrea and I met several years back- ironically enough, she was my Carolina Bride representative when we were just starting out – we became friends through the years of working together. So of course when she told me she was getting married, I was beyond thrilled and wanted to help in any way I could! Andrea and Johnathan’s ideas were amazing- they picked the sophisticated colors of cerise, ivory and taupe accented by gold. The combination was show stopping. 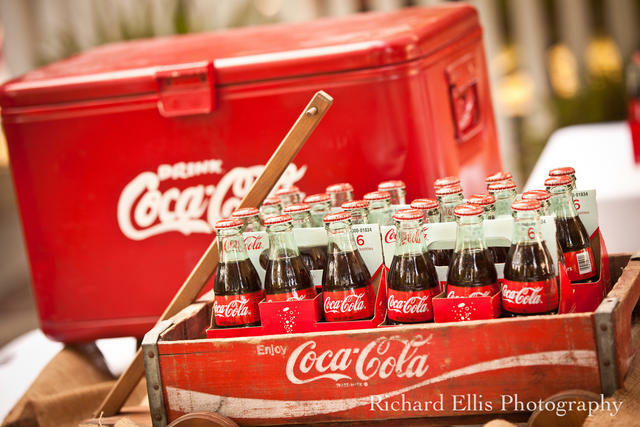 They had all sorts of unique elements to make their wedding so exciting and fun as well as very moving! 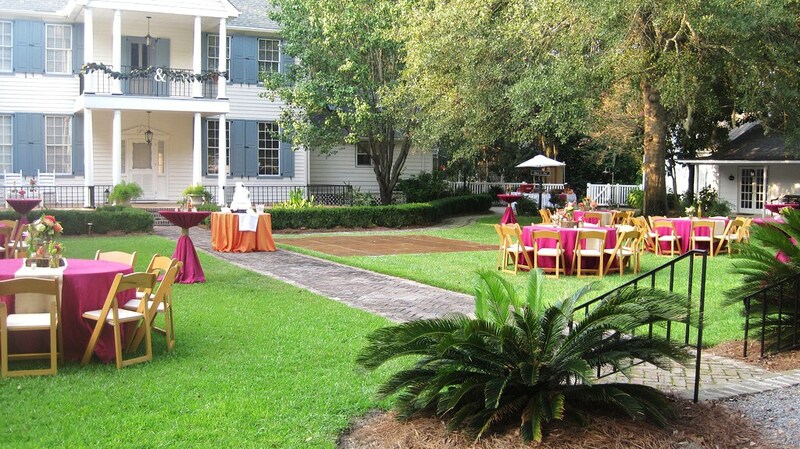 After the ceremony- guests enjoyed cocktails and passed hors d’oeuvres on the porch. Wine was set up in a unique self serve display that was just lovely. Dinner was served in the lavishly set main ballroom- from the cerise chair ties to the menu seating cards – no detail was overlooked. The family table centerpiece, cake flowers and bouquets/bouts. 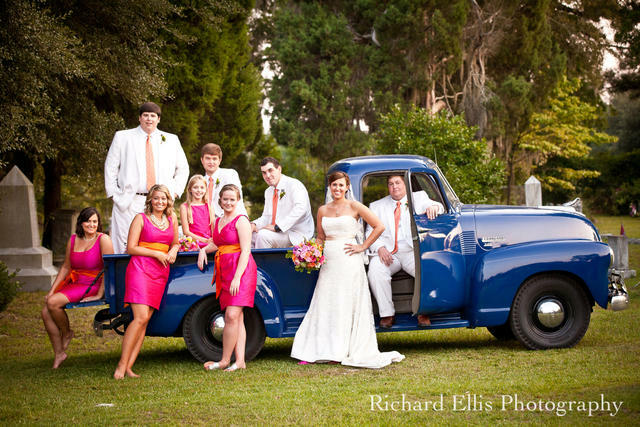 were created by Southern Stems – gorgeous work as always! Photography by the very gifted Clark Berry– again, always a pleasure working with them! 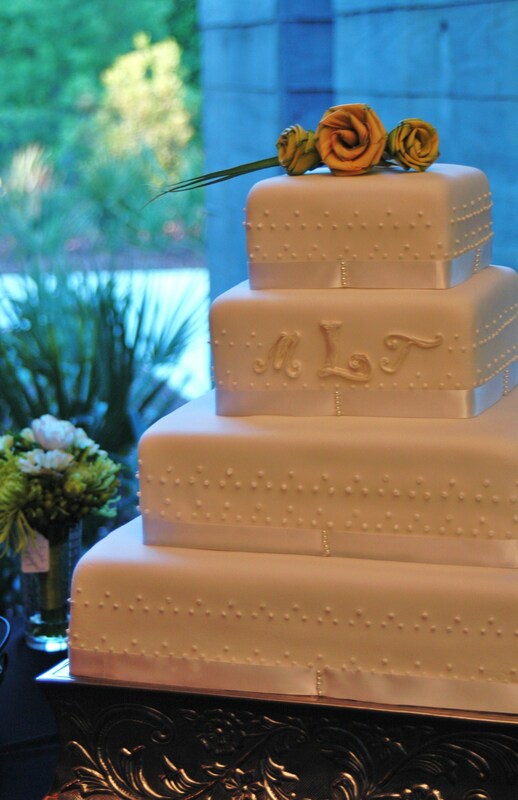 The yummy white chocolate wedding cake with raspberry filling was created by Angi Anderson. Great sounds were provided by the Coastal Breeze Band. Clark Berrycreated a wonderful guest book from the photos taken during their engagement session. Programs were fans printed by the bride. 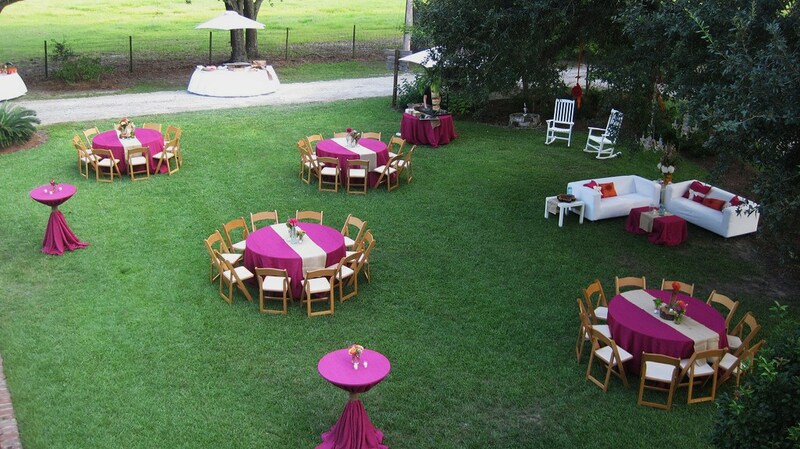 Ceremony site- the topiary belonged to the couple, Southern Stems place blooms in them to add that pop of color. Petal monograms at the entrance of the club. 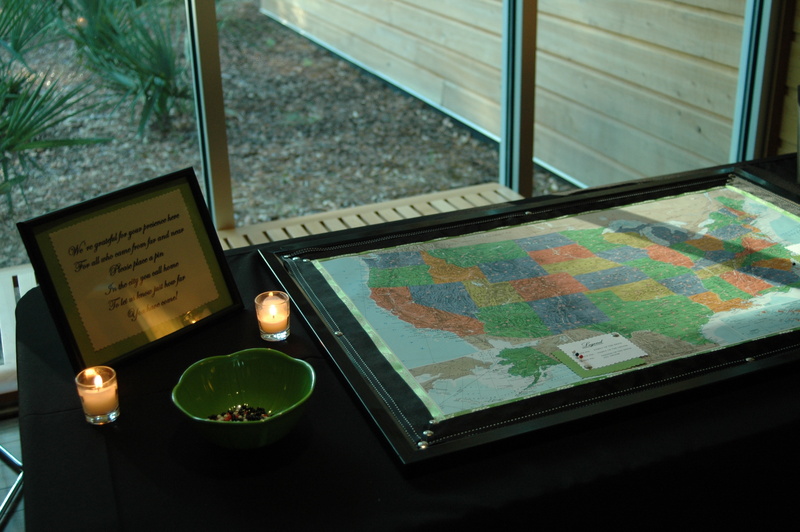 Seating cards were displayed on this fabric backed frame made by the bride. 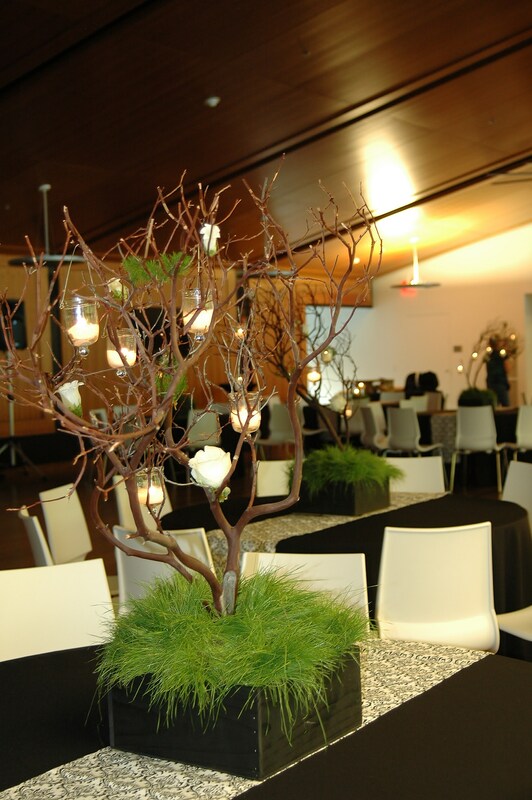 The ‘family’ table- centerpiece by Southern Stems. 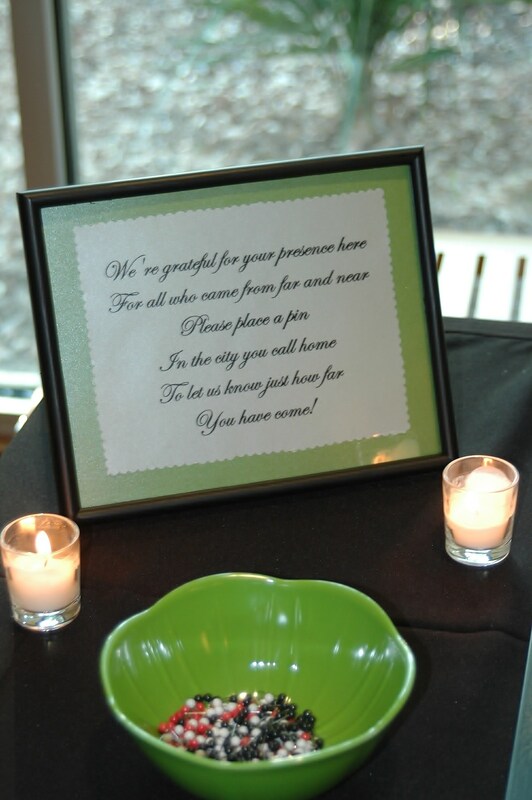 Guest tables – centerpieces put together by B.I.O., menu cards and table numbers created by B.I.O. We tied the matches to the sparklers for their send off next to the beautiful card box. 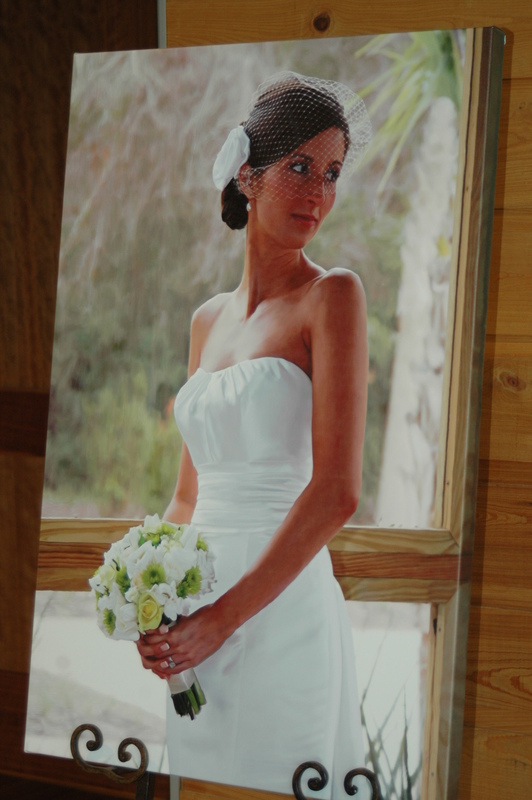 The brides gorgeous bouquet created by Southern Stems and menu seating card created by B.I.O. We were so lucky to be able to be a part of this gorgeous event! 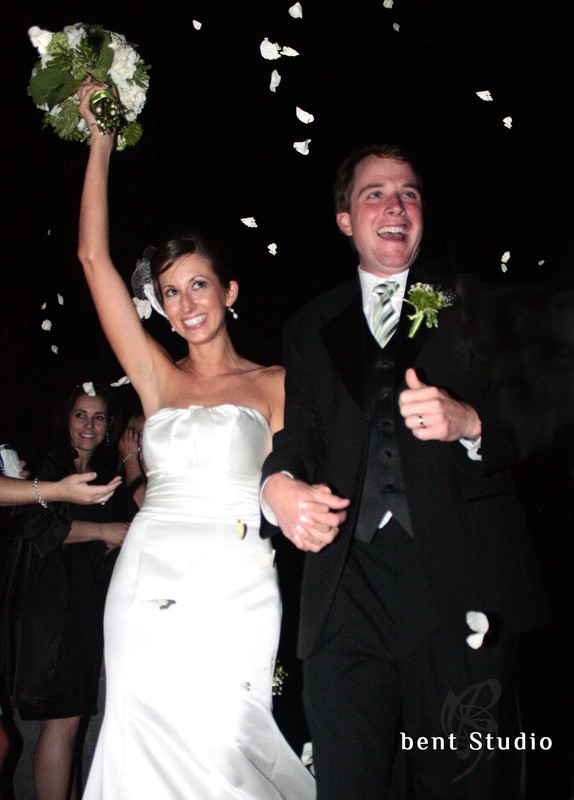 Kari and Cole were just the most amazing couple- so easy going, so elegant and sweet- just beautiful! They picked a breath-taking location for their wedding, the Daniel Stowe Botanical Gardens in Belmont, North Carolina. This garden is beyond amazing- I just fell in love with it! 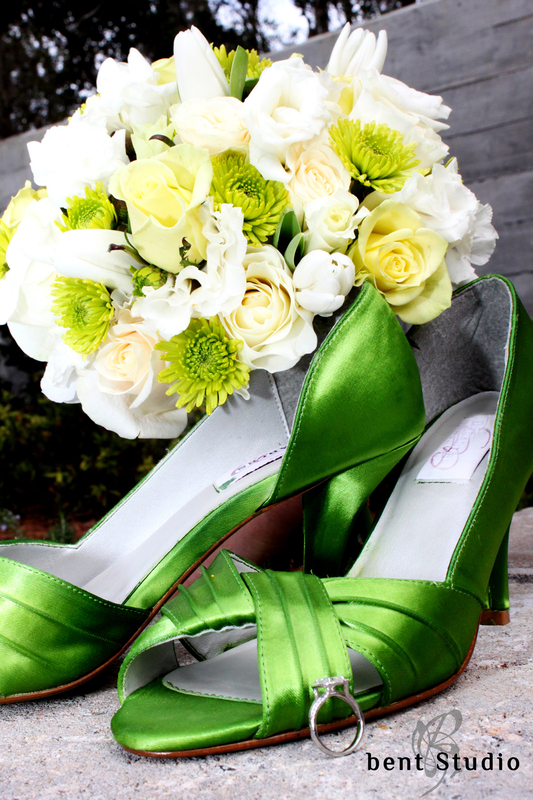 The couple put lots of details in their wedding that just made it ‘them’. 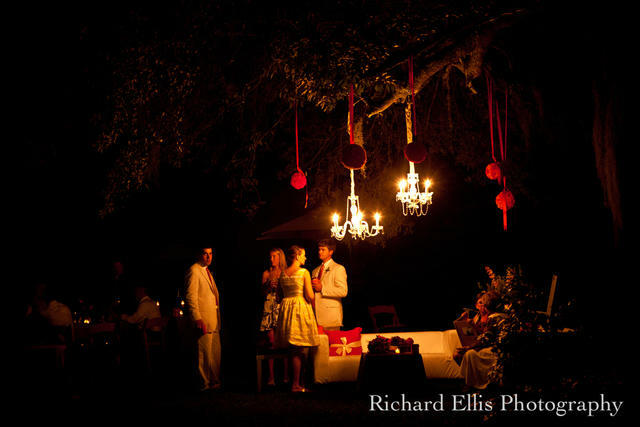 The ceremony was to take place in the ‘White Garden’ , cocktail hour at the Orchid Conservatory and reception under the tent out from the Great Hall. Sadly we did have rain just before the ceremony was to begin so we made the decision to move the ceremony in the Great Hall- I think it turned out just BEAUTIFUL!!!! 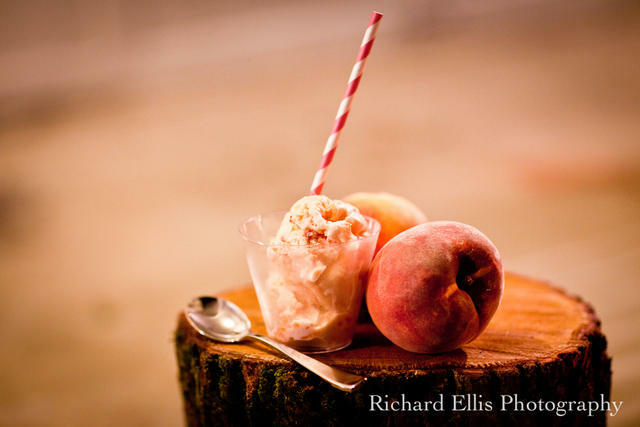 The groom had only one specific request…a soft serve ice cream station- it was perfect with sprinkles and all. 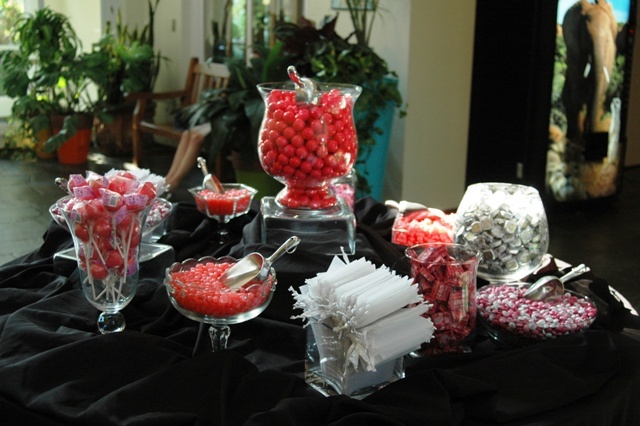 The candy bar was also a huge hit. Photography was by the amazingly talented Kellie Kano!! The lovey printed items were created by Graphically Inclinded Designed – the couples custom made invitations, programs and accents all had the same pattern throughout – and what was spectacular is how they carried it to their wedding cake. Programs were hung on each chair. Ceremony in the Great Hall- photos DO NOT do it justice! The Orchid Conservatory- this place was beyond amazing. Cocktail hour was held here. 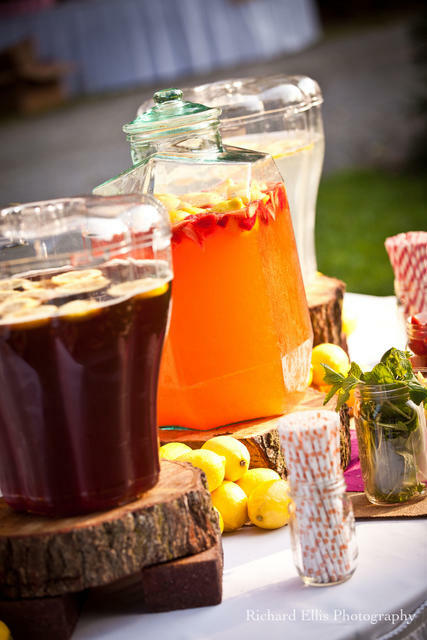 Lemonade and tea were served from our spigot jars into mason jars! 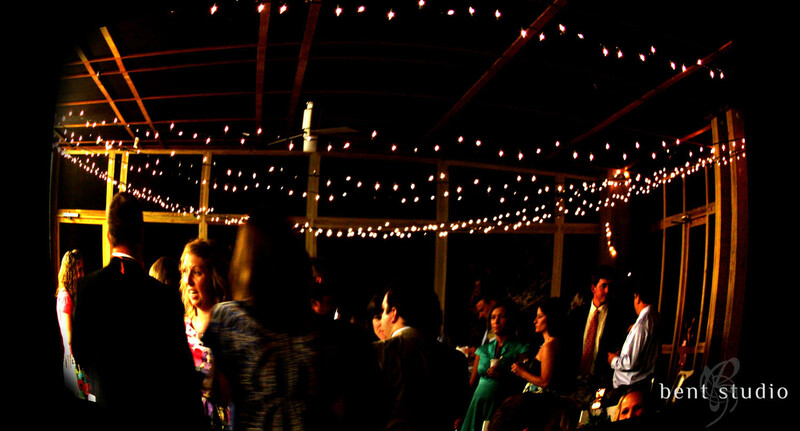 Lanterns over the dance floor and lovely orchid arrangement for the tall cocktails. Shot of the sweetheart table, bride’s bouquet and bridesmaids! The soft serve ice cream! The gorgeous couple! 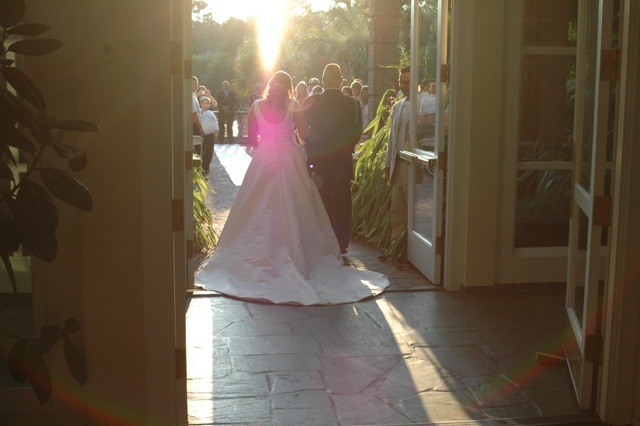 Look at this amazing shot Kellie Kano captured before the ceremony!! I had to grab one shot of them while Kellie was working with them! The gorgeous bride – photo by Kellie Kano. The weather was perfect- cool morning gave way to a bright sunny day then softened into a romantic sunset for the 5:30pm ceremony. 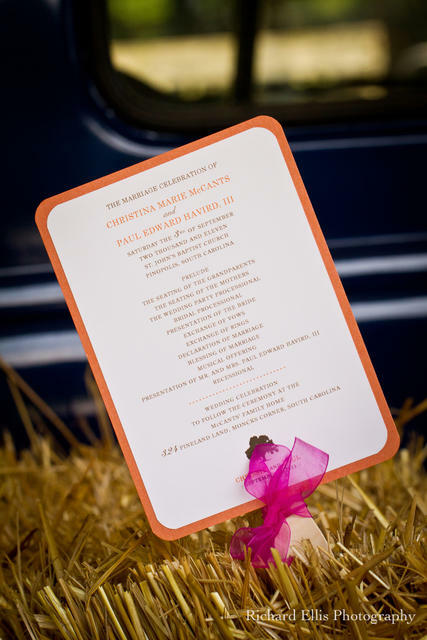 The details we sweet and personal- programs were created by the bride, they selected a favor that was perfect, an herb packet and a ‘green’ pot for planting all packaged in a lovely box with a personalized label. The groom’s sister created the perfect groom’s cake, TEXAS, celebrating their home!! Here are a few photos!! The other centerpiece- they were so lovely. Don’t let half a world stand in your way!!! I know I am a little behind but we are busy, busy!! 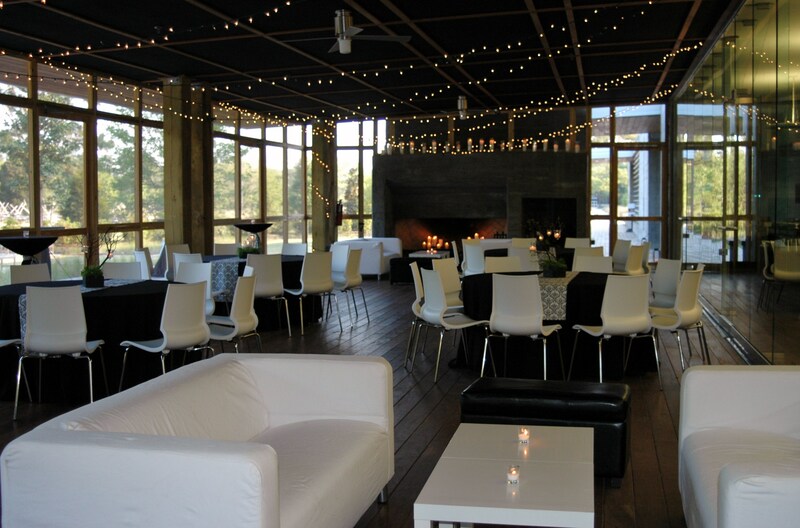 So- this past weekend, B.I.O had two weddings going on- I had one here in Columbia and Laura had one in Charlotte that we went up to help with. When I was first contacted by Dawn, she explained in detail her situation- she first and foremost said that her date was tentative and would need to work with a planner that was flexible and understanding to change! As we shared emails, I quickly learned Dawn was not ‘close by’ to sit down for a meeting- both Dawn and her fiance we currently serving duty in Afghanistan. I was so impressed by all that she had accomplished over seas but now she needed some help and called on us! She would not be returning until late spring so we needed to get a few things accomplished before then. This was such a unique situation- I am so glad they had faith in us to let us handle the most important day of their lives. Dawn and I shared some very ‘real’ moments- I remember her calling early one morning (due to time differences), we were talking ‘wedding’ then she began to discuss how her fiance may be in a dangerous situation- it was surreal but a whole new connection came about between us! I have such an appreciation for those that serve- I was glad I could be more than just a ‘planner’ to her- we have a friendship that is special. 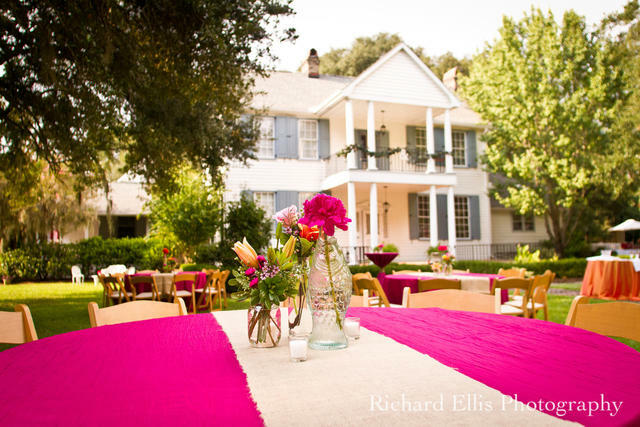 Dawn had lovely ideas – she picked the Riverbanks Botanical Gardens for her wedding and reception, with soft pink for her main color – the bridal party was just AMAZING and loads of fun – we had the best time! 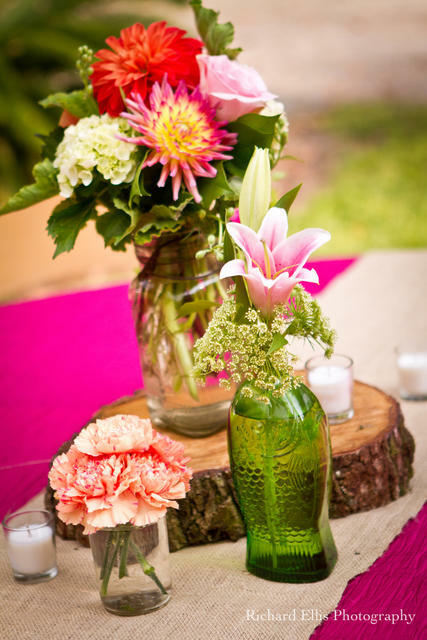 These gorgeous flowers were by Southern Stems– perfect for a garden wedding!! 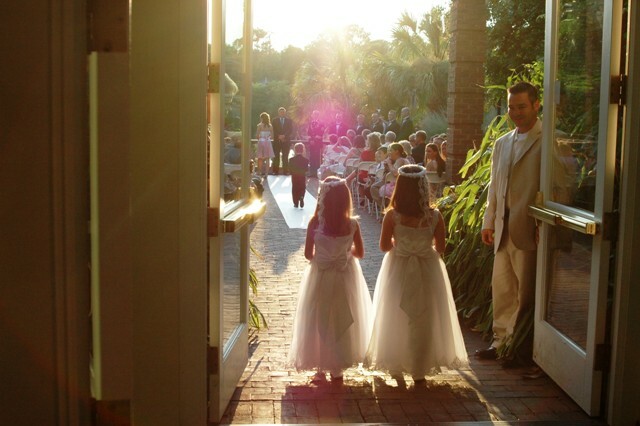 The flower girls going down the aisle! 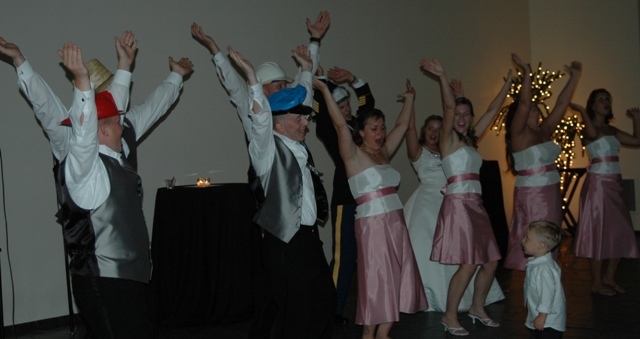 And yes…that crazy, fun bridal party doing “Y.M.C.A”!! 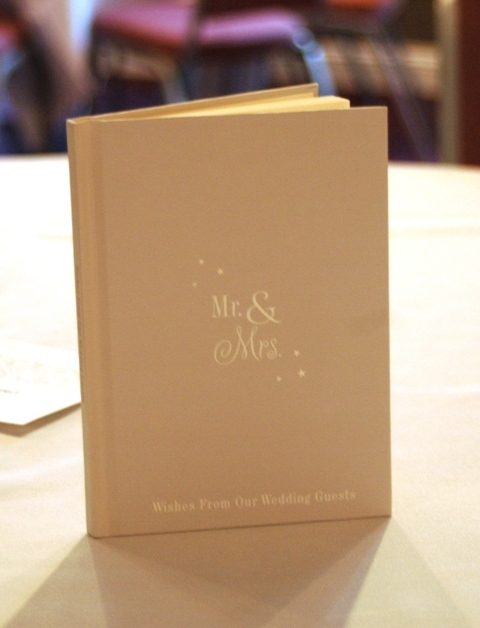 I just wanted to share a neat little idea- each table had an individual book that guest at the table left wishes in- this took the place of a traditional guest book. The program fans for guests!